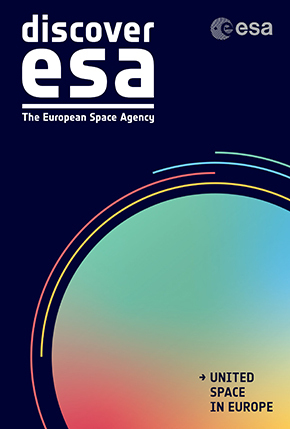 The Discover ESA brochure is an illustrated guide to what ESA is and what we do. It shows a range of our activities and missions at the cutting edge of space design and technology, from making space safer to monitoring climate change and exploring our Solar System. Available in six languages, the brochure comes with an attractive space poster – both can be downloaded here.